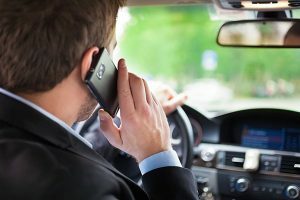 Distracted Driving Category Archives — Massachusetts Injury Lawyer Blog Published by Boston, Massachusetts Injury Attorneys — Breakstone, White & Gluck, P.C. Parking lot crashes are more likely in Boston and Massachusetts this time of year, as holiday shoppers are out. What can you do to prevent accidents? Put down your cell phone, slow down and always watch for pedestrians. When you finish your holiday shopping, and start to head home, you may be tempted to pick up your cell phone and call someone. But the parking lot is not a safe place and the holidays are not the season. Unfortunately, car accident claims typically rise during the holidays, as many of us head out shopping or to enjoy holiday lights. According to the National Safety Council (NSC), the increase begins around Thanksgiving and Black Friday. We are now approaching one of the worst stretches, the days just before Christmas. 66 percent of drivers nationwide said they would make phone calls while driving through parking lots. Teens were less likely to make phone calls than adults (60 percent). Another 63 percent said they would program GPS systems. More than half, 56 percent, said they would text and 52 percent said they would use social media. Another 50 percent said yes to sending or receiving e-mails, while 49 percent said they would take photos or watch videos. More than half of all teens and adults also admitted they would take time for personal grooming (59 percent of teens; 53 percent of adults). Drive slowly. Give yourself plenty of time to react to pedestrians and other vehicles. Do not cut through parking lots; follow the traffic lane. Avoid distracted driving activities, such as cell phone use, texting, listening to loud music and engaging in intense discussion. Choose your place to check electronics, such as before you leave the mall or store. Obey stop signs and other signs. Back out carefully. Always watch for pedestrians in the parking lot and at the entrance. Be extremely patient and always wait for them to reach the sidewalk before moving. Walk all the way around your vehicle before stepping inside, looking for pedestrians and parents with small children and baby strollers. Consider parking away from other cars to avoid shopping mall parking lot crashes. The Insurance Institute for Highway Safety reports parking lot crashes account for about 20 percent of all auto claims. The NSC reports on average each year, there are 60,000 injured by parking lot crashes and 500 or more who die. Pedestrian accidents account for many parking lot crashes. Backup accidents are responsible for nearly 10 percent of fatal pedestrian crashes in parking lots. Over the past few years, a number of pedestrian accidents in Massachusetts parking lots have been fatal. In 2017, a Trader Joe’s employee in Acton was killed. A year earlier, a 52-year-old woman died in Wilmington, outside a Rite-Aid. In 2015, a pedestrian was killed in the parking lot of the Cloverleaf Mall in Natick, just across the street from the Natick Collection (or the old Natick Mall). Eight years ago, Massachusetts banned texting while driving. If you are texting or writing an e-mail and cause a car crash, you could be cited by police. If you injure another driver, the police citation could be used in a civil lawsuit to prove your negligence and you will have to pay compensation to the victim. 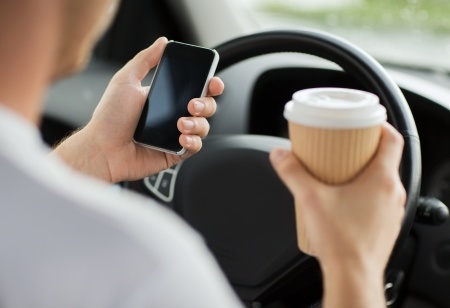 All but three states have texting while driving bans. Hand-held cell phone bans are a different story, with just 16 states approving bans. Hand-held cell phones are still permitted when driving in Massachusetts, but safety advocates urge drivers not to use them, especially in parking lots. 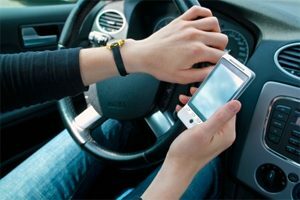 In a matter of seconds, a simple act such as trying to look up GPS directions or dialing a friend can lead to a serious and possibly fatal accident. 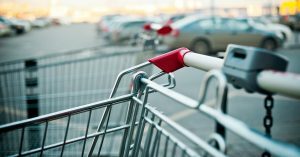 If you have been injured in a parking lot crash, it is important to learn your legal rights for seeking financial compensation under Massachusetts law. Contacting a Boston car accident lawyer promptly is essential so they can act quickly to protect your rights. At Breakstone, White & Gluck, our lawyers have over 100 years combined experience representing those injured in auto collisions. For a free legal consultation, contact us at 800-379-1244 or 617-723-7676 or use our contact form. This month, students at four high schools in Massachusetts will sit down at computer simulators and learn what it feels like to text or use a cell phone while driving and then crash. This is part of Arbella Insurance Foundation’s Distractology 101 program, which will visit Braintree High School, Phillips Academy in Andover, Falmouth High School and Sacred Heart High School in Kingston. 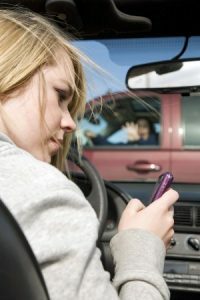 Although the young drivers will not actually suffer or cause injury, or feel the remorse of having caused the collision, they will be taught the lesson that distracted driving behaviors, such as cell phone use, using a GPS and even eating and drinking, can result in car accidents and serious injuries. These behaviors should be considered as or more dangerous than speeding or running a red light. 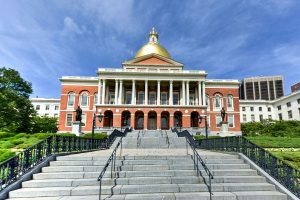 Sept. 30 will mark three years since the state of Massachusetts strengthened its laws for teen drivers. Under the Safe Driving law, which took effect in 2010, teen drivers age 16 ½ to 18 are banned from all cell phone use and there is no texting while driving for operators of any age. The Junior Operator Law, which was passed in 2007, bans teen drivers from carrying passengers under the age of 18, except siblings. They also cannot drive between the hours of 12:30 a.m. and 5:00 a.m., unless accompanied by a parent. Massachusetts is not alone; most states now have Graduated Licensing Laws restricting teen drivers in some way. In 47 states, novice drivers have passenger restrictions and 48 states limit nighttime driving. Teens are banned from all cell phone use in 37 states. There is good reason for the laws: For each mile of roadway, teens age 15- to 20-years-old are three times more likely to die in a car accident than other drivers, according to the National Highway Traffic Safety Administration. 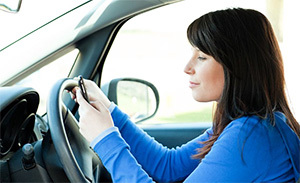 Now is a good time to observe how well your teen driver is obeying the laws. Every year, the AAA Foundation for Traffic Safety reports June, July and August see the largest number of teen driving deaths. But one nationwide company, State Farm Insurance, reports October is another dangerous time. It sees the most claims from 16- and 17-year-old drivers in this month, up 15 percent from other times. Say No to Teens Using Their Cell Phones. Many teens are texting while driving, despite the laws. In a 2011 study of 8,500 U.S. high school students age 16 and older, 45 percent admitted to texting or e-mailing while driving in just the past 30 days. The study was conducted by the Centers for Disease Control and Prevention and was published in the June issue of Pediatrics Journal. These teens were more likely not to wear their seat belt. 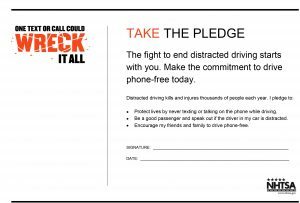 Encourage your teen to turn their cell phone off or put it in the backseat while driving. Taking a peek at text messages, e-mails or their Facebook page is not allowed. That includes while sitting at traffic lights and intersections where they need to look out for other traffic, as well as pedestrians and cyclists. Limit Teen Passengers in the Car. Drivers under 18 in Massachusetts are not allowed to carry passengers under the age 21, except siblings. Be vigilant on this point with your teen. Among 16- and 17-year-old drivers, there is a 44 percent higher chance they will be killed in a crash with even one passenger under 21 years old, according to the AAA Foundation for Traffic Safety. The number multiplies with each additional passenger under 21, but decreased over 60 percent for each passenger age 35 or older. Test Drive School Zones. Let your teen observe from the passenger seat as you drop them off to school and pick them up. You will encounter traffic, bicyclists and children walking, which will be new and potentially stressful for them as a driver (even if they traveled this area during their Driver’s Education practice hours). Point out how you adjust to the activity and decrease your speed. If you do not drive to school, take this ride outside school hours and then let them drive. The goal is to make them aware of the challenges and make them comfortable in case they have to drive at some point. Cyclists and Pedestrians. Remind your teen of what they learned in Driver’s Education class. Make sure they stop well behind the crosswalk at intersections and always let pedestrians pass. Remind them that cyclists can travel the full width of the road. Remind them to make sure cyclists are not approaching when they open any doors in the car. Other Driving Safety Tips. These are the foundation of all driving safety tips, but always worth a reminder for safety’s sake: Talk to your child about always wearing a seat belt, following the speed limits and never using drugs or alcohol while operating. The most important things are to talk to your children about driving and to set a good example yourself when they are in the car with you. Visit this web page for additional suggestions.